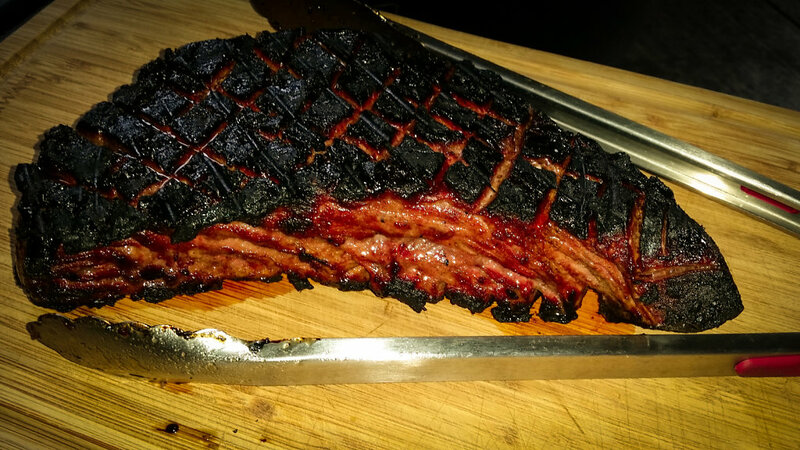 Take a lean, tough cut of meat, marinate it for 2 to 3 days, cook it over fire. Simple. Mix up the marinate, pour it in a gallon zip lock bag. Score the top and bottom of the beef in half inch x quarter inch deep cuts in a diamond pattern. 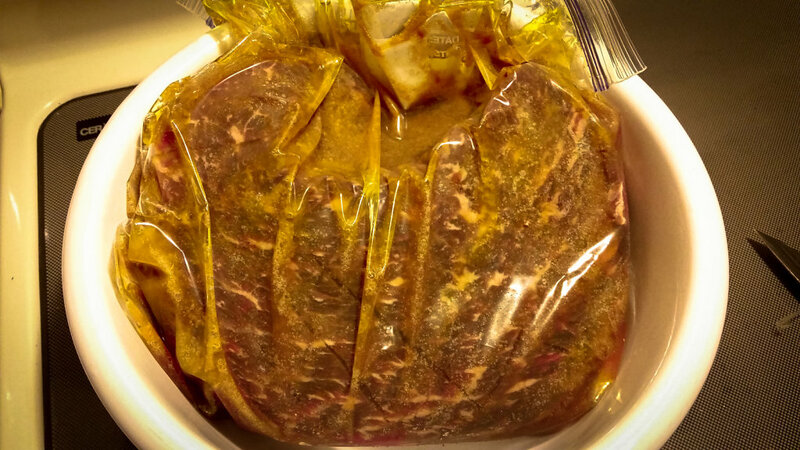 Toss the beef in the bag with the marinate. Squeeze all the air out of the bag. Put it in a bowl in case the bag leaks. Put it in the fridge and forget about it for 2 to 3 days. When you're ready to cook it, fill a chimney with real wood charcoal. Light it and let it turn into a jet flame spewing monster from hell. Carefully pour the fiery contents onto the highest grate of your Kamado style grill if you have one. All you others just make do with what you have. 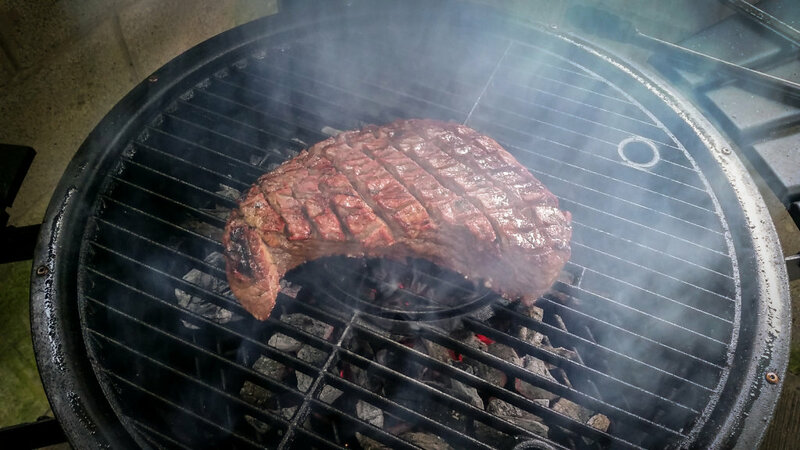 You want the coals to be about an inch from the meat. Don't wait for the grill to warm up. Toss the meat immediately onto the grill. Let it go full throttle for about 10 minutes. Flip the meat as frequently as you like. But flip it at least twice. After the first 10 minutes, close down the bottom draft to about 1 square inch of flow. 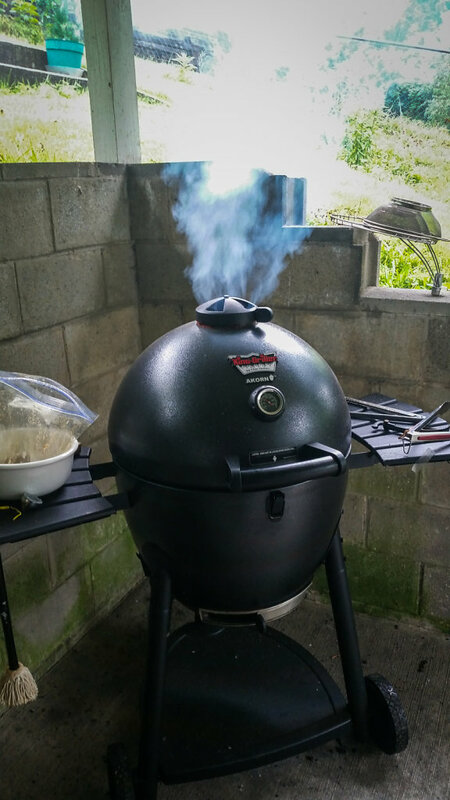 If you have a drafty grill, shut the bottom vent off completely. Leave the top vent wide open. 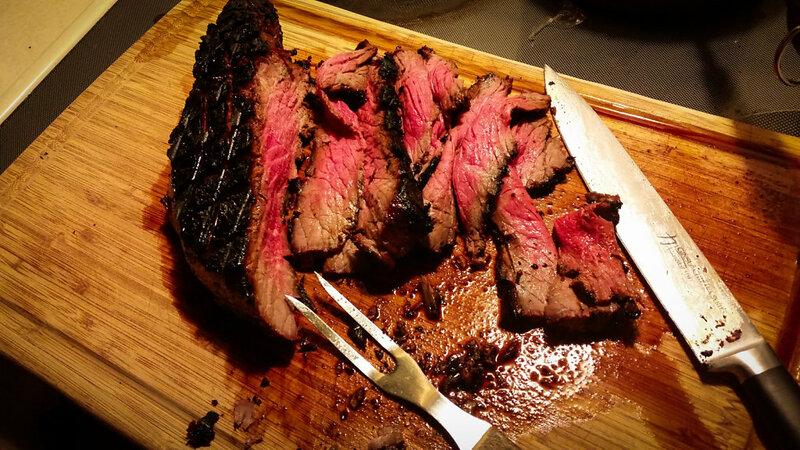 Get your quick read thermometer out and pull the meat off when the center of the meat reads 120 degrees Fahrenheit. Let the meat sit for 10 minutes. I know, it's hard to wait.